Attention, fans of Fate/ Stay Night, Fate/Extra, and especially Fate/Extella (feel free to fill in whichever other permutations as you please) fans! While XSEED’s localization of Fate/Extella Link is still on the way, Play-Asia is currently having a flash sale on the Japanese version’s limited edition set. While it normally retails for $134.99, you can get it right now for $99.99. The Japanese limited edition set comes in a special box, illustrated by artist Aruko Wada. The box contains a voucher for a “Makyou Sergeant” costume for Scathach, and a soundtrack CD. Oh, it also comes with a full Mahjong tile set, the pieces of which also feature art by Aruko Wada. Fate/Extella Link is a direct sequel to Fate/Extella: The Umbral Star, which is in turn a sequel to Fate/Extra. 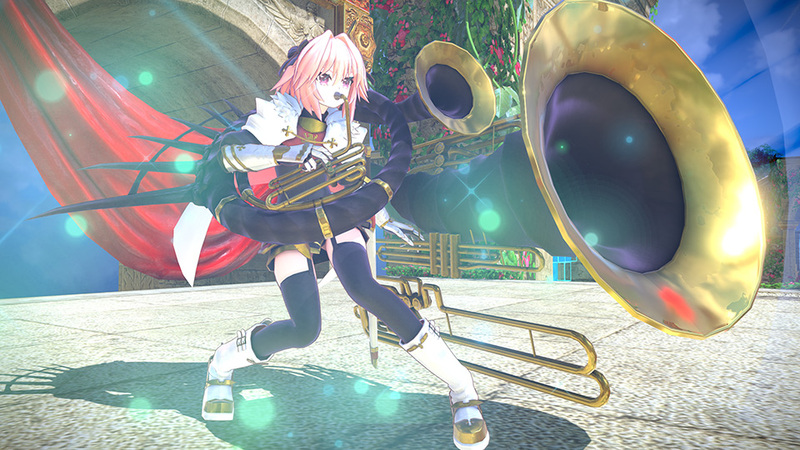 While the original game was a turn-based RPG, the Extella series are action games inspired by the likes of Dynasty Warriors. Link adds ten new “Servants” to the playable cast, along with visual and mechanical updates, and a new multiplayer mode. That’s a pretty sweet deal, especially if you’re into the Fate series and Mahjong. If you decide you have to pick this thing up, feel free to use our affiliate link (below) to help us out a bit. We’ll keep posting deals! Also, use the code “PSLIFE” at checkout, and you’ll shave a few bucks of the price as well.